Anyone else here want to troll the king of the haters? Jerry Seinfeld may be a very nasty person, I don't know him, but, I do know this show "Comedians In Cars Getting Coffee," is a very funny show! I actually laugh out loud and spit out my coffee. 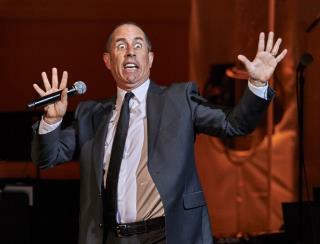 My favorite part is when Jerry, himself, cracks up at the other guys quips and anecdotes!